A colleague at work recommended it as a book he loved so I checked it out of the library and once I started reading it, I couldn't stop. It was compulsively readable and an absolutely fascinating story. Even more fascinating that he had no computer background and didn't really scale his life up at all as he accumulated piles of money. Quite a character. I am glad I read it and will be thinking about this story for a while. PS: This is why I ask everyone their favorite books. I've found so many gems this way. If you read this, I'd love to know your favorite book, too! 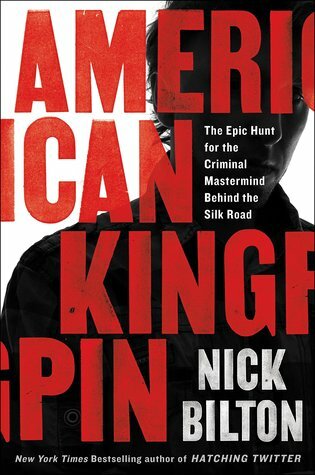 Sign into Goodreads to see if any of your friends have read American Kingpin. Two more recent favourites: The Choke by Sofie Laguna and also by her The Eye of the Sheep. Discovered her last year and really love the ways she writes and the raw/realness of her stories and characters. Boy Swallows Universe by Trent Dalton. And if you like Police Procedural type crime novels then I think Tana French is pretty exceptional. I am loving your reviews here. Thank you.